Custom Web Design | Yibon Creative Inc.
You will get more hits. Visitors will stay on your site longer and they are therefore more likely to covert. The website will boost your company’s image since people associate bad websites with unprofessionalism. We will give you an easy-to-understand guide that will help you easily manage and update your website in the comfort of your home or office. At Yibon Creative Inc., our customer support team is responsive and ready to answer any question you may have. The team will help you should you have any problem updating or managing your website via email. We will help our clients analyze their existing website design, content and make improvements if need be. We research the websites of our clients' competitors as well as the competitors' services/products so that we are able to advice our clients on the information or USP (Unique Selling Point) that should be highlighted in the website. We sketch out our idea on paper or screen so that we can visualize the skeleton of the website design before we finalize it. The final step in the process is implementing the research and idea to develop a custom website for our clients. It will address your specific business needs accurately. You will get a unique design and copyrighted graphics. It will represent a brand identity. You will have full control over the website layout. You will have greater adaptability. There will be greater relevance and consequently greater lead generation. You will stand out in the crowd, which will translate into greater hits. The website will be more SEO user-friendly. If to tackle the concept of Responsive Web Design, you should understand that it is all about adapting the layout of the website to fit different screen resolutions. Building pixel-perfect, standard fixed width website is no longer enough. To meet these days' requirements your website must have flexible layout that scales seamlessly to suit different browser widths. 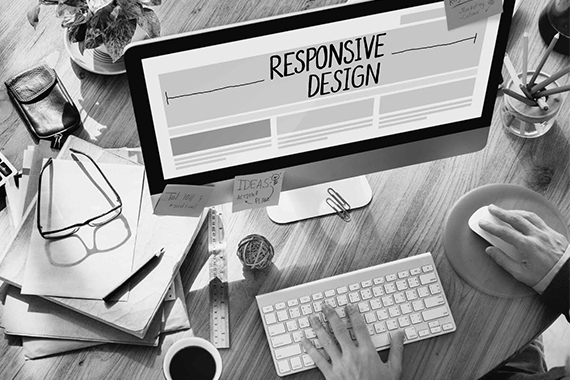 Our team can help you create Responsive Web Design with ease. We suggest you the responsive website templates with fluid layouts that can serve up different media formats including smartphones, tablets, netbooks, laptops, and desktop monitors. You do not need to build several websites for different types of screen resolutions; instead you can use one of these responsive templates that already have multiple layout versions. Our responsive web templates are ready to adopt whatever your content or style is. A designer, a programmer, a creative director, and a copywriter will work as a team to complete your project. This will ensure that the highest quality is maintained. All our team is well trained and experienced in the latest technology. Our team attends regular conferences to improve its knowledge and skill. Our experts have been speakers at enterprises, universities and colleges like SUS Design Center, Sunway College, Southern University College, JCI Entrepreneur Malaysia, Foon Yew High School, Shift Design Conference and etc. We offer 100% customization and unique design. We do not outsource the website development service. We have developed a lot of online management systems like Tracking System, Online Order System, Survey System, Report System, Ecommerce System, Property Management System, Online Leave Management System (Named “Click On Leave”), Newsletter Manager, Group Purchase System, Online Directory System, Coupon Management System, Affiliate System and etc.